Lansons has promoted four equity partners to the role of board director, taking the total number of people on the agency’s board to 21. 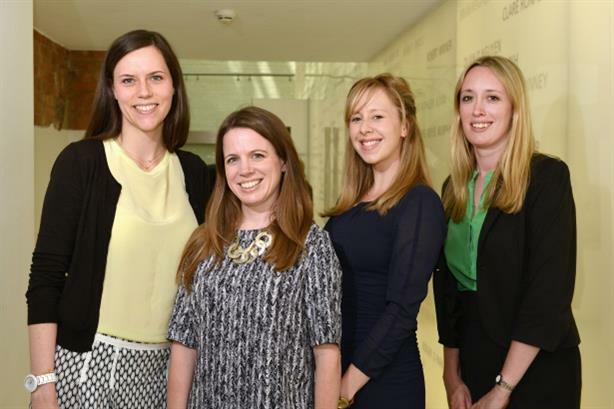 All four joined Lansons as junior executives between 2000 and 2005 and have progressed through the agency. Anna Schirmer focuses on corporate positioning and stakeholder engagement programmes, with clients having included Stobart Group and the Isle of Man Government. Karen Mignon directs strategy and leads media relations campaigns for clients within the financial services and corporate practices such as Invesco Perpetual, Co-operative Bank and Experian. Katie Hayward specialises in developing media relations campaigns for b2b and b2c clients, and work has included the Lloyds/HBOS merger and launching Asda Money. Louise Marriott focuses on running PR and stakeholder programmes for financial services clients, which have included Fidelity International, Post Office Financial Services, PayPal and Barclaycard.